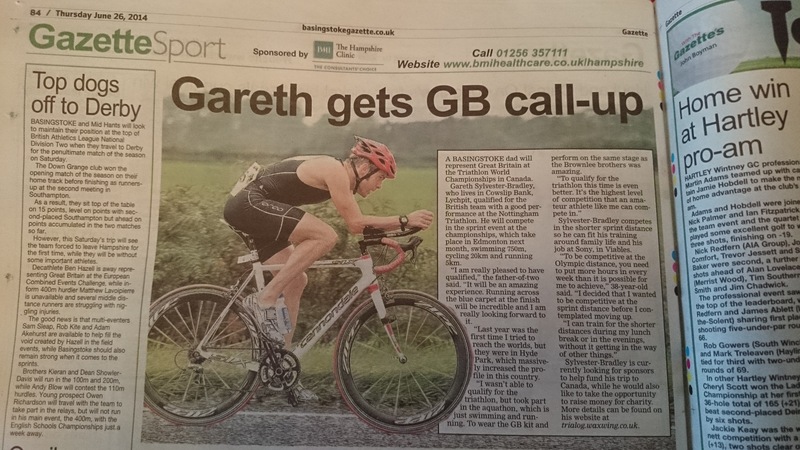 The Basingstoke Gazette is my local paper and has a great sports section, highlighting our local athletes and teams (Go, Bison!) 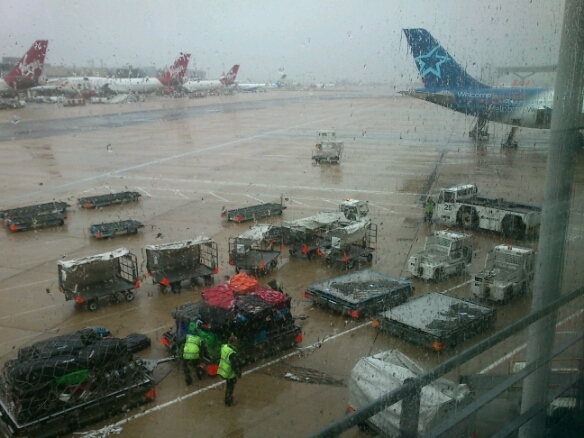 as well as covering national sports news. In fact, in the last few weeks, they’ve been able to cover the fantastic results of Aaron Harris, who grew up in Overton, and the Gazette website reported live his 6th place at the Commonwealth Games, third Englishman behind Alistair and Jonny Brownlee! 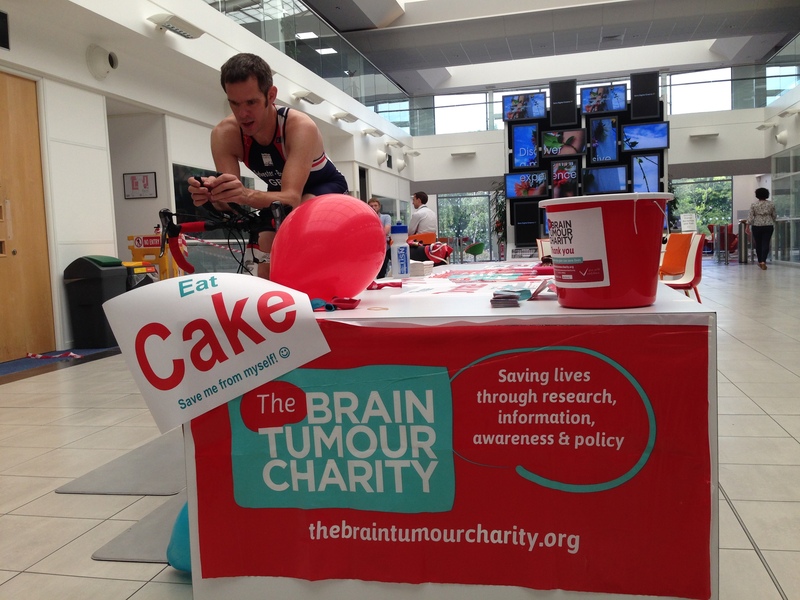 As they mention in the paper, I’m fundraising for charity – see Tri for The Brain Tumour Charity. 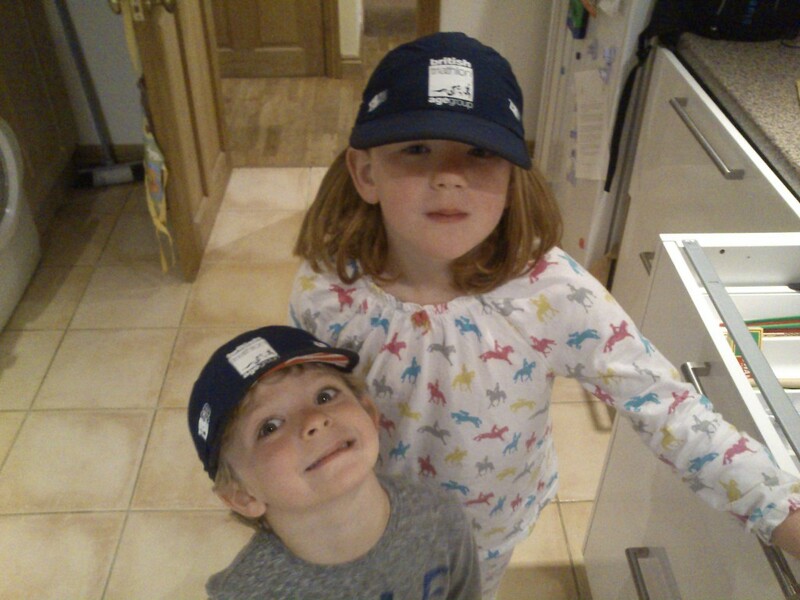 Brain tumours are the most common cause of cancer deaths in children and adults under 40. The Brain Tumour Charity make a bold statement of intent: We will change this. They provide support services to those affected; fund cutting edge research to find a cure; and raise awareness of this devastating disease. 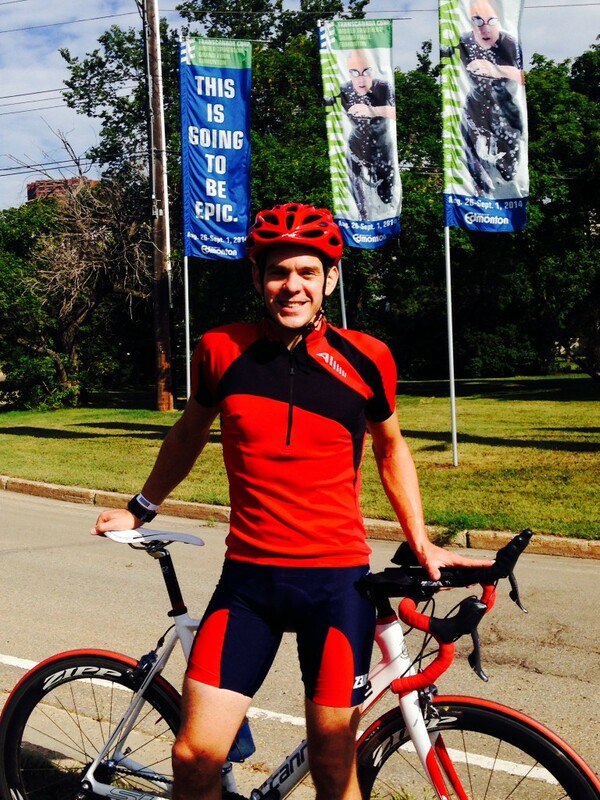 I want to support this worthwhile cause and am using my journey to Canada as a member of the Great Britain age-group team for the 2014 Triathlon World Championships to fundraise for The Brain Tumour Charity. I have done something like an hour of training for every 5 seconds that I’ll be racing on 29 August, and knowing that I’m racing for this cause too will be an added boost. For more information about the research and patient support that our donations will enable, see www.thebraintumourcharity.org. 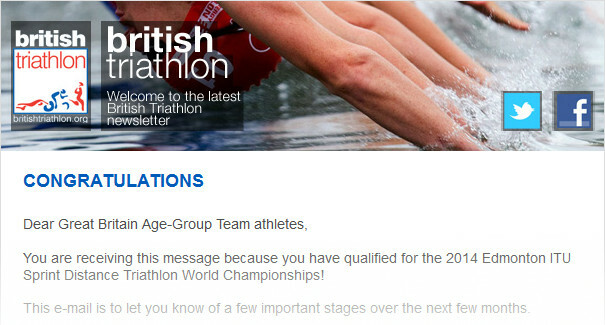 I have qualified for a place in the GB Age-Group Team for the world champs! 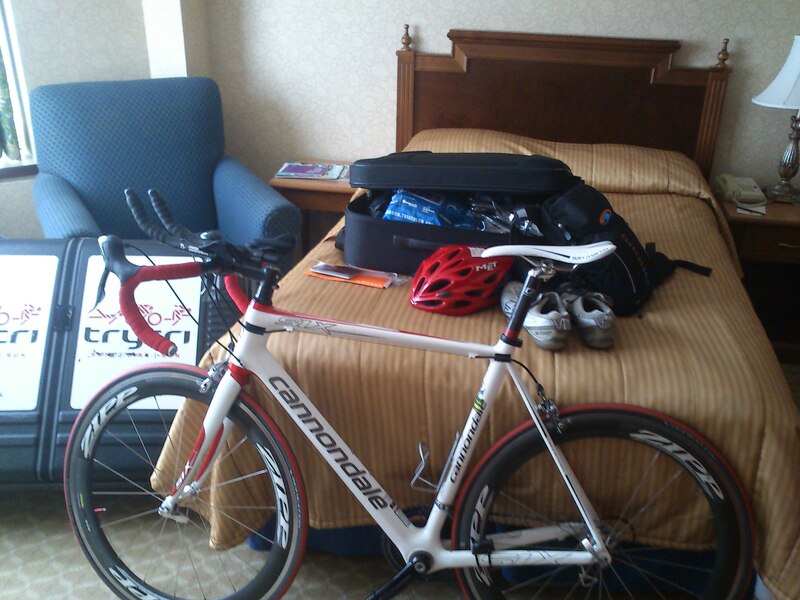 The race is on 29 August 2014 and I’m working hard to get myself to Edmonton, Canada. I would love to talk to potential sponsors interested in connecting with triathletes locally and in the GB Age-Group team, who might be able to support my training and racing in some way. Suggestions welcome! I also intend to use this opportunity to raise money for The Brain Tumour Charity – details here.